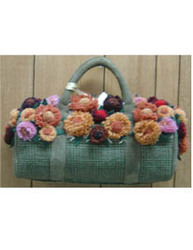 Painstakingly developed and meticulously decorated with flowers that are made with colorful furs, this beautiful ladies bag in bottle green can be teamed up with all type of modern outfits. Leveraging on years of experience, we are able to offer the top-notch quality of Faux Fur Bag and Faux Fur Saddle Bag. 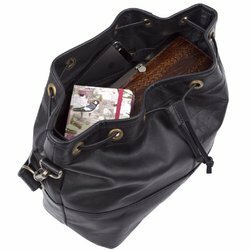 These bags are widely appreciated for its salient features and are offered at optimum prices. We are offering a wide range of Dalmation Print on Leather With Synthethic Fur Hand Bag. Our hand bags are also featured with odor and fungus free because of their storage in dehumidifier room. These Genuine Leather Ladies Wallets comes with various pockets for storing credit cards, cash, photo IDs, shopping coupons etc. In order to meet the various requirements of the customers, we are engaged in offering a wide assortment of Blue Fur Bag. Leveraging the skills of our qualified team of professionals, we are instrumental in offering a wide range of Kids Fur Bag.Price Range: 25-35/piece. Baby couture presents this high quality Cute Fur Baby Handbag for your little princess. The bag is perfectly suitable for picnics or outings. You may also match it with party dress. It is very comfortable to carry with long drawstrings. A cute bow adds more grace. kids choice and very light weight bags. Banking on our enriched industry experience, we are able to supply Fur Handbags. Red fur sling bag. Much bigger than the size of a phone. Spacious enough to keep phone , keys , lipstick and other stuff.